Salvatore “Robert” Loggia was born on the 3rd January 1930, in Staten Island, New York City USA of Italian descent. He was an actor and film director, nominated for an Academy Award in the category of the Best Supporting Actor, and winning the Saturn Award as the Best Supporting Actor for “Big” in 1988. He had been active in the entertainment industry from 1951 until his death in 2015. How rich was the actor and film director? It has been estimated by authoritative sources that the total size of Robert Loggia’s net worth was as much as $1.5 million, converted to the present day. 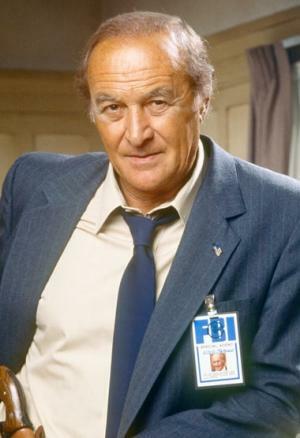 To begin with, Robert Loggia studied at Wagner College and majored in journalism at University of Missouri. Later, he served in the USA military during the Korean War, and then pursued a career as an actor which added significant sums to the outright size of his net worth. In 1956, he created his first film role in Robert Wise’s boxing drama “Somebody Up There Likes Me” with Paul Newman. He played his first leading role as Detective Steve Carella in “Cop Hater” (1958). In 1965, Loggia had a small role in the epic film “The Greatest Story Ever Told”, and the following year he starred in the series “The Cat”, which was followed by roles in the main cast of other series: “Columbo: Now You See Him” (1976) and “Rockford Files” (1977 – 1978). Between 1976 and 1981, Robert Loggia worked as the director in some episodes of the television series “Quincy”, “Hart to Hart” and “Magnum”. In the early 1980s, Loggia experienced increasing success with critics and audiences establishing himself as a sensitive and versatile actor, as in Taylor Hackford’s drama “An Officer and a Gentleman” (1982). In Brian De Palma’s remake of the classic “Scarface” (1983) he played the role of the most ruthless drug lord Frank Lopez , while in Blake Edwards’ “SOB” (1981) he created the role of a lawyer. In 1985, he landed roles in John Huston’s “Prizzi’s Honor” and Richard Marquand’s “Jagged Edge” – for the latter, Loggia was nominated for the Oscar as the Best Supporting Actor. In Blake Edwards’ “That’s Life” (1986) he starred opposite Jack Lemmon and Julie Andrews, then starred alongside Tom Hanks and Elizabeth Perkins in the hit comedy “Big” (1988), for his role of Mr. MacMillan in the previously mentioned film he won the Saturn Award. In 1996, he played a General in the blockbuster “Independence Day”. In 1997, he was in David Lynch’s enigmatic film “Lost Highway”. The same year he landed the main role in the film “The Don’s Analyst”. Moreover, he starred in “Holy Man” (1998) directed by Stephen Herek, “Return to Me” (2000) by BJ Davis, “Forget About It” (2006) by Bonnie Hunt and other films. In 2004, he had several appearances in the series “The Sopranos”. The last films the actor appeared in were “Sicilian Vampire” (2015) and “Independence Day: Resurgence” (2016), the latter being a posthumous release. Finally, in the personal life of Robert Loggia, he was married twice. He was married to Marjorie Sloan from 1954 to 1981, with whom he had three children. From 1982 he lived with his second wife Audrey O’Brien and had four children. He died being 85 years old in Brentwood, Los Angeles on the 4th December 2015.